Roco offers ballet in a non-intimidating atmosphere for the new or returning student, as well as the experienced dancer. Ballet begins with a traditional series at the barre followed by exercises in the center of the room designed to develop the dancer’s strength, musicality, performance style and confidence. Performed in ballet slippers. 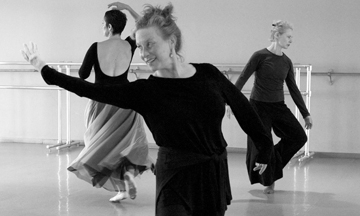 Founded in 1993 by professional dancer Annie Rosenthal Parr, RoCo programs 175 classes weekly for adults and youth. In their two locations within Marin County, RoCo attracts the Bay Areas finest instructors and master teachers. Classes include all levels of Modern, Jazz, Contemporary, Ballet, Hip Hop, Breaking, Brazilian, Zumba, Pilates and more. Performances are held 4-6 times annually at Marin Center and RoCo's performance space in Fairfax.